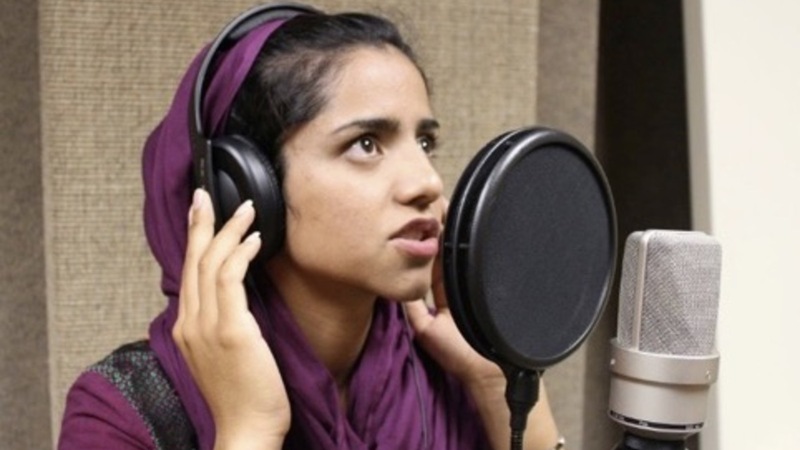 Sonita: meaning "swallow, a migrant bird"
“Let me scream I am tired of the silence” raps Sonita in her internationally viewed music video filmed as part of the new documentary Sonita by documentary filmmaker Rokhsareh Ghaemmaghami. The subject of the documentary; her name self-defined in the film as a “swallow, a migrant bird.” Afghan-born, Sonita fled to Iran as a child with part of her family to escape the Taliban. She works in a refugee community centre as a cleaner and studies there with a group of other girls. Sonita is a talented young rapper inspired by western influences such as Rihanna. When she is 15, her mother visits her in Iran to tell her that she is being sold as a bride for $9,000 in order for her brother to pay for a bride of his own. 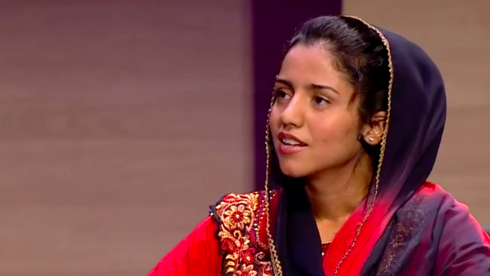 The relationship between self-expression and female empowerment here is incredibly important, Sonita raps around poverty, women’s rights and her own struggles as an Afghan refugee. This is similar to documentary Queens of Syria by Yasmin Fedda as both films use a personal filmmaking approach that ends up exploring the relationship between the female filmmaker and the subject. In Sonita, the filmmaker is constantly encouraging her to use her voice and to express how she is feeling and blurs the line between a passive filmmaker and an active participant in the events that unfold. Both in Sonita and Queens of Syria women share their experiences through performance. In Queens of Syria, a group of refugee women in Jordan rehearse and perform a modified version of the Euripides’ play Trojan Women, to tell their stories and empower each other by standing together in the face of all the pain they have gone through. “I have a scream I want the whole world to hear…But I wonder if it will be heard?” However, throughout Queens of Syria, many women drop out of the play and are reluctant to take part due to their faith, culture and community pressures that don’t wish them to express themselves in this way as women, as it is seen as detrimental to their family lives. However, in many ways, Sonita is the opposite. She often happily rebels against her society and her gender role through her rap music and questions the norms of her culture asking “what will happen if I sing?” when told by family it is indecent for a woman to do so. She is not ashamed nor does she shy away from writing and performing songs about uncomfortable subjects such as poverty and the Afghan tradition of selling women as brides. Similarly to the protagonist in animated memoir Persepolis (2007); also set in Iran, Sonita documents a struggle for identity. Both Sonita and the protagonist, Marjane in Persepolis are fiercely spirited and outspoken as well as in their youth using music to both escape their reality and confront it. 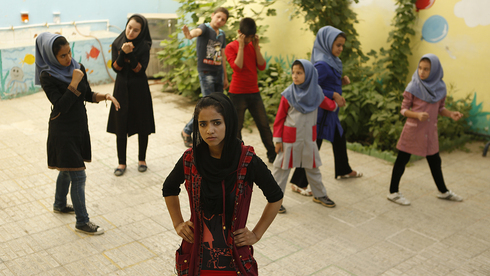 Both using music to challenge their societies and their gender roles as Islamic women in Iran. However, Persepolis is set much earlier than Sonita. In the 1980s/90s, the young Marjane uses punk - even wearing an iconic handmade jacket with the slogan “punk is not dead" in the streets of Iran, as her medium of expressing herself. She risks her life and freedom purchasing western music tapes on the black market to feel a sense of identity in a society that oppresses her. These tapes are described as "symbols of Western decadence", which is something that in Sonita, the young rapper aspires to. She spends time scrapbooking her perfect life and superimposing her face on images of Rihanna. However, for Marjane, music has its limits. It is not the saviour of her identity struggles or a full escape from her current life. Her punk music only works as a young girl in Iran, once she is sent away to Europe she no longer finds the need to rebel or seek out empowerment through music. Sonita takes a very different approach to using music to express yourself and empower yourself as a woman in comparison to more western films about this subject. Ladies & Gentlemen, The Fabulous Stains made in 1982 at the height of the punk movement but before the Riot Grrrl movement took off, shows a teenage female punk band fronted by Corinne Burns, an angry, disillusioned girl using music to deal with her emotions surrounding her mother’s death. Throughout the film, girls thank her for speaking what they were thinking or what they were afraid to say. In a rant after a poorly received show she says to the women “be yourselves, These guys laugh at you. They’ve got such big plans for the world. but they don’t include us!” She spends the film carving out a place for her and her band in the music scene ignoring the patronising advice of the male bands she is touring with and empowers herself and the women around her expressing herself her own way. 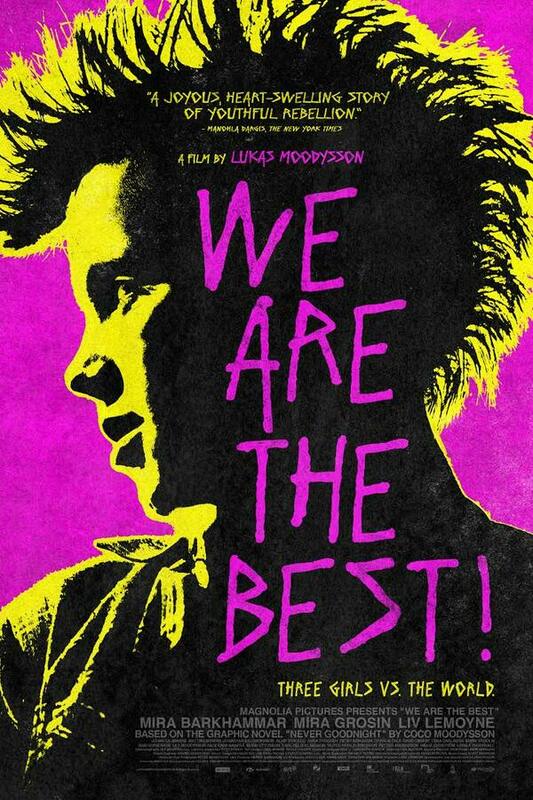 Similarly, Swedish film We Are the Best! also set in the 1980s but made in 2013, follows a band of misfit young girls who form a punk rock band (with no experience in playing music) as a means of escape from their lives and to express their feelings and identities. They are androgynous and reject their femininity but are often taunted - sarcastically called the “prettiest girls in town”. Music gives them an outlet against a world that makes them feel like they don’t belong. This is not a world away from Sonita, who uses her rap music to get her voice heard and by doing so uplifts the voices of the silent and the abused. 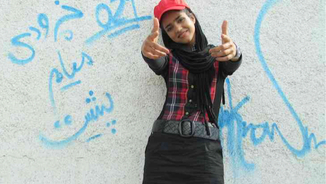 Whilst Sonita’s struggles include seeking justice against sexist traditions and laws by wanting to stay in school and rap; which is illegal for her to do in Iran both Ladies and Gentlemen, The Fabulous Stains and We Are The Best! do the opposite - rejecting certain privileges such as school and supportive peers due to angst and disillusionment with their lives. These films are also set in a different era, where punk is the method of expressing these emotions. Sonita is a much more contemporary way of looking at female empowerment through music using rap/hip-hop arguably the modern protest music form to express herself and empower women. Something the protagonists share in all these films is a need for female self-expression. Wanting to share their experiences through music and uplift the women around them. Sonita is a fantastic modern tale of this and gives a voice to the women she wishes to empower through her music. Sonita is in UK cinemas from 21st October.